Shortly before seeing Avengers: Infinity War, I got to sit down with Marvel Studios President Kevin Feige for an exclusive interview. Since I hadn’t seen the movie yet and knew going in Feige wasn’t going to spoil any of the surprises, I decided to use my limited time to talk about Marvel’s past and future along with some of Feige’s other interests like Star Wars and Disneyland. During the interview, Feige talked about the title of Avengers 4, future Marvel movies like the Spider-Man: Homecoming sequel, Captain Marvel, and Guardians of the Galaxy Vol. 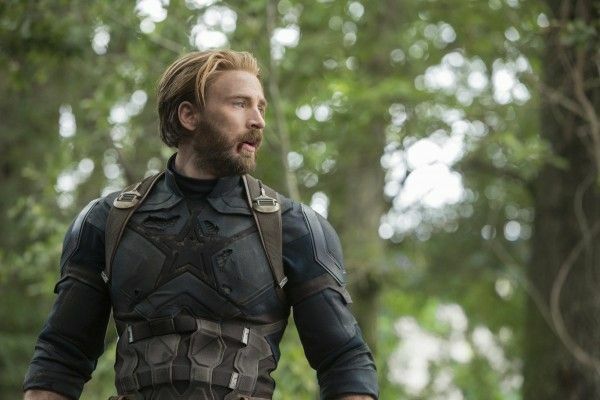 3, if they might start releasing four movies a year, which was the hardest Marvel movie to make, which film changed the most from script to screen, what movie’s reshoots were the most intense, his most striking Comic-Con memory, the success of Black Panther and the status of the sequel, and a lot more. Check out what he had to say below. Collider: So you’ve been asked everything about Marvel stuff and I’m gonna switch gears completely. What do you want to see in a new Star Wars trilogy? KEVIN FEIGE: Oh gosh. What do I wanna see in the new Star Wars trilogy? I don’t know. I love seeing new versions of things you’ve seen in the past. I mean, by the way, look at what we’ve done over 19 films, and you can see the kind of things that I like. I like revisiting things that you know very well and seeing them in new ways, which is why I think Solo is gonna be awesome and I can’t wait to see it. FEIGE: No, no. I’ve just seen the trailers that they’ve released, and the great standee which is in the lobby of the building where Marvel’s offices are. You probably know more about it than I do from your talks with Rian Johnson, but I love almost everything about that galaxy far, far away. FEIGE: I’ll see the further adventures of Ponda Baba, aka Walrus Man and I’m there, I’ll watch that. Or you can take me to a planet that I’ve never seen before. FEIGE: Yeah, and as long as there’s a laser blast that kind of sounds like a Star Wars laser, I’m there. FEIGE: That’s very hard, that’s very hard. It’s probably, I mean, push come to shove, it’s probably the Haunted Mansion. Pirates is close second, but I love that mythology, I love how deep that mythology can go. I love everything about it, I love how it’s been updated slightly over the years. I think it’s awesome. Does the perk of the job get you private tours at Disneyland when you want to go? 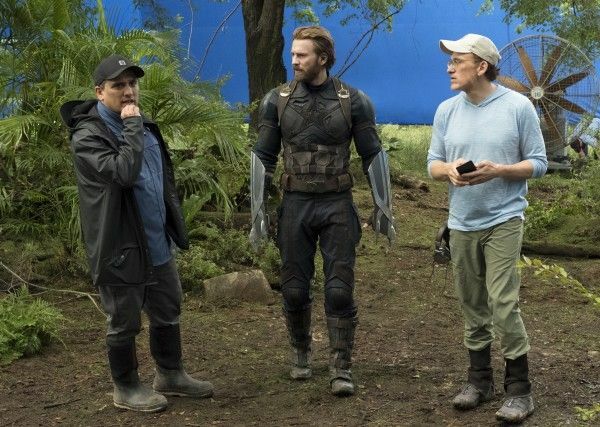 FEIGE: No, there have been certain sort of managerial events and things that have happened that I’ve been a part of, and very excited to attend. Now, let’s jump into Marvel. What earlier Marvel movies might get released in 4K? Do you know? 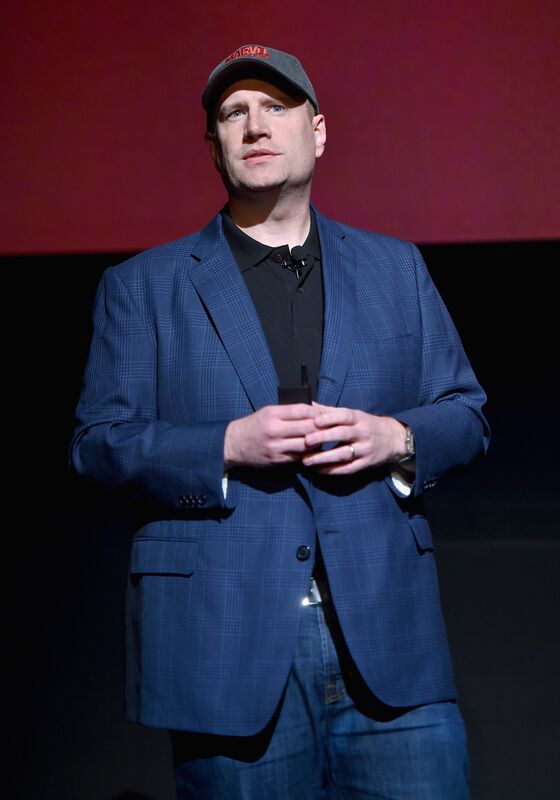 FEIGE: I would presume all of them eventually. I don’t know exactly what or when. When do you think that it’s safe to announce that Infinity War Part 2 will be called Infinity Gauntlet? FEIGE: That is definitely not what it is called. FEIGE: Definitely not called that. When we announce the title I am not sure, but as I’ve probably said to you, it’s gotten completely blown out of proportion. It will just be a name and the reason to hold it back was to keep the attention on Infinity War. That backfired a little bit because now everyone thinks what’s the name of the next one gonna be? But it was really just to keep the focus [on Infinity War]. We did not want to call it Part One and Part Two. Although it will be quite evident that the films obviously connect, as all our films do, but this in particular connects very directly. 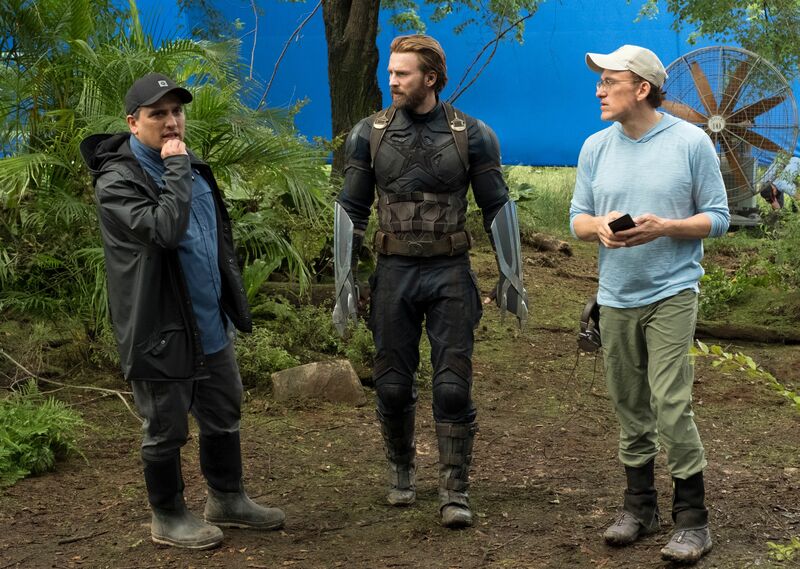 And then we changed the Part One and Part Two, we said let’s just keep this Infinity War and we’ll talk about the next movie later. We had done things in the past that had taken attention off of whatever the film at hand is because we talked about this. For instance, Infinity War announcing before Ultron came out, and it worked out, it was fine, but it felt like let’s keep the attention on the film at hand. 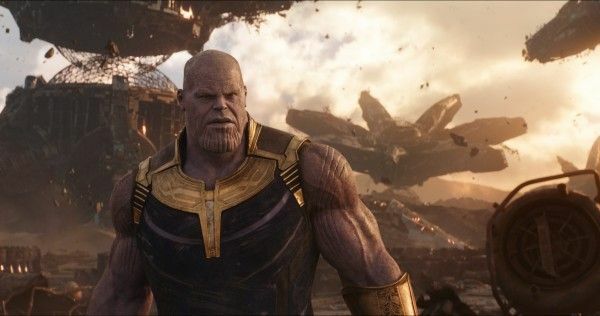 What’s your favorite wrong theory about Infinity War? FEIGE: My favorite wrong theory about Avengers 4 is that it will be called Infinity Gauntlet. What about Infinity War, the third movie? Is there one that you can say categorically yeah, that’s just not true? FEIGE: I saw something recently about Dinklage. I’m not sure, I haven’t been keeping up on the erroneous theories. I know you have not really announced the 2020 movies but obviously Spider-Man must be getting ready to start filming soon, it’s supposed to be the summer. Guardians 3 is coming 2020. What’s coming up for Marvel in terms of filming later this year? FEIGE: Spider-Man, that’s it. Spider-Man starts in July and that comes out in July of 2019. So there’s nothing else being done later this year or just stuff that hasn’t been announced yet? FEIGE: There’s a lot of development work on the future of the MCU and things like that but Spider-Man will be the only thing filming. There might be additional photography for—there’s Ant-Man and Wasp going on, Captain Marvel, Avengers 4, but Spider-Man is the first. Do you think that you guys are gonna get to the place where you release four movies a year? FEIGE: I think it depends. It depends on what happens with big corporate deals, it depends on how we’re feeling as a studio to grow. We always intended to just do two a year until we got to a natural place where it felt like not doing three meant we were holding things back or preventing work from being done. Totally comfortable with three a year, which we’ve been doing for a few years now. If it ever gets to four, it would only be for very good reasons. Which movie was the hardest to shoot? FEIGE: Geez, the hardest to shoot? 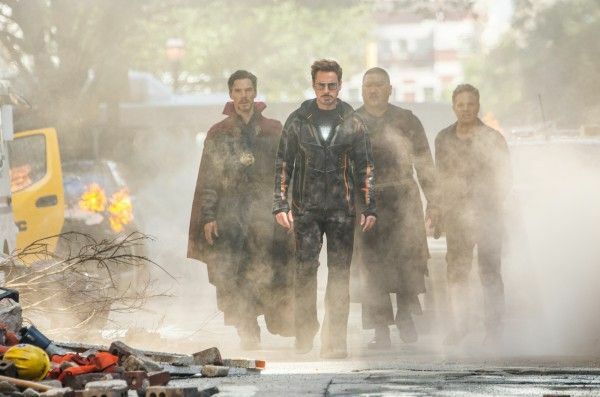 Infinity War was the hardest to schedule, as you might imagine.With all of these actors that you just saw on the stage downstairs, all of whom are A-Listers, all of whom star in their own movies, getting everybody together in the same place on the same day, was a challenge. Once they got there it was awesome, it was great, everybody was thrilled to be there. Scheduling that was hard. That’s what stands out. I’m not sure how much time you spend on set. I know at the beginning you were probably on set more but which MCU actor ruined the most tasks from laughing? FEIGE: Oh it depends. The Guardians can get into laughing fits sometimes, never in a way that felt disruptive necessarily and most of them you’ve probably seen in the gag reels because usually when that happens, they end up in the gag reel. Which movie changed the most from script to screen? FEIGE: That’s a good question. I’m wondering if it’s Thor: The Dark World. FEIGE: That’s a good question. Thor: The Dark World was one of them. Thor: Ragnarok was another one, to be honest with you. Now, sometimes that’s because you plan a movie, you shoot a movie, you watch that movie and you go, oh boy, there are things we need to do to make it better. Sometimes it’s because once you start filming, you go off book immediately and the movie you shoot over the course of production ends up being quite different from the movie that was scripted. But Dark World and Ragnarok are two good examples. Which director asks for the most takes? And the least takes? That you’ve seen. FEIGE: Yeah again, it varies. I would say Joe and Anthony are very quick and their training has led them to hone in and be able to get what they want very quickly. Of course, there are exceptions. Sometimes they’ll have to do a dozen takes depending on what it is and there’s some filmmakers who, like Mr. Coogler, are very focused and will do things many, many, many times to find and hone in on exactly what they’re looking for, and of course, there’s some times where he’ll only do two or three depending on how long it takes to get what he wants.